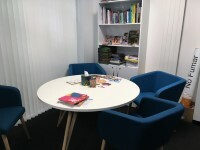 Services / facilities within the building include Student Support Services, Admissions and Careers. 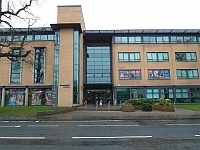 Related link Omagh Campus - Main Building. 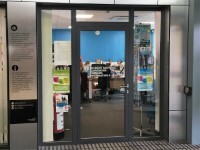 The Admissions Office is located on the ground floor of North Wing. The venue is situated within the centre of the town. This venue is situated in Omagh. The venue does have its own car park. Parking is free for all users. The car park is located at the rear of the building. 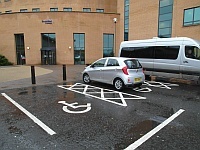 The dimensions of the Blue Badge parking bay(s) are 360cm x 460cm (11ft 10in x 15ft 1in). The nearest Blue Badge bay is 20m (21yd 2ft) from the rear entrance. The furthest Blue Badge bay is 25m (27yd 1ft) from the rear entrance. There is a dropped kerb between the car park and the venue. The dropped kerb does not have tactile paving. There is not a road to cross between the car park and the entrance. 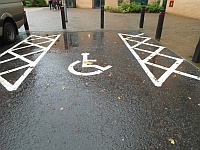 The car park is for the use of staff and Blue Badge holding students only. 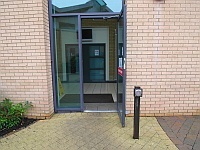 You are on Outside Access (Rear Entrance). Skip to the next section. 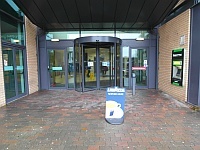 This information is for the entrance located next to the car park at the rear of the building. There is level access into the venue. 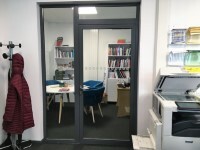 The width of the door opening is 86cm (2ft 10in). 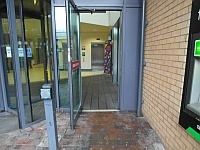 Alternatively there is an automatic revolving door to the right. This information is for the entrance located in Mountjoy Road. The automatic door is push pad activated. 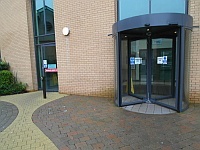 Alternatively there is an adjacent automatic revolving door to the left. The ramp/slope does bypass the step(s). 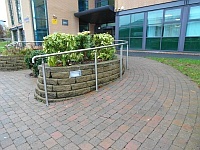 The ramp/slope is located to the right as you face the entrance. There is a level landing at the top of the ramp/slope. The ramp does have handrails. The handrails are on the left going up. There is a/are handrail(s) at the step(s). 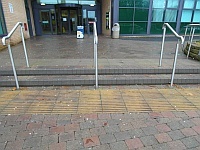 The handrail(s) is/are on both sides. 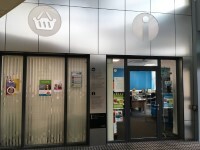 You are on Outside Access (Office Entrance). Skip to the next section. This information is for the entrance located on the ground floor of the North Wing. The width of the door opening is 88cm (2ft 11in). Admissions and Information Office reception is located ahead as you enter. 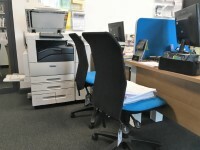 The desk is 3m (3yd 10in) from the office entrance. The lighting levels in the reception area are bright. There is level access to the service(s). The hearing assistance system is available only on request. The system is a portable loop. Staff are trained to use the system. The lighting levels are bright. Motorised scooters are allowed in public parts of the venue. 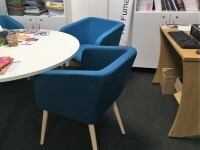 Accessible toilet facilities are located on the ground floor of the North Wing. 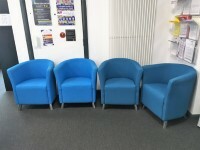 Standard toilet facilities are located on the ground floor of the building. Staff do receive disability awareness / equality training.